Five years ago, Luke Lambert and his wife bought a red brick house on a tree-lined street in this Chicago suburb. Two years later, he bought a blue 1966 Ford F-100 pickup with plans to fix it up. Then he got a phone call from the police: Pickups can’t park in Flossmoor’s residential areas unless garaged or being unloaded. His garage wasn’t big enough, so he parked at his wife’s grandmother’s about 10 miles away. Now he is leading a crusade to overturn Flossmoor’s 43-year restriction on America’s most popular vehicle. “They think of the town as elite, but it’s really elitist,” says Mr. Lambert, 34, a digital-media-company manager. His pickup-driving father, ticketed last year for parking at Mr. Lambert’s house, borrows a sedan to visit from Wisconsin. Commercial-truck restrictions aren’t uncommon in the U.S. Flossmoor not only restricts commercial pickups but all of them. After Coral Gables, Fla., voted in 2012 to drop a similar ordinance, Flossmoor officials say they believe their community became the last in America with such a restriction. As Chicagoland expanded, Flossmoor fought to preserve its aesthetics in 1975 by imposing a parking ban on pickups, which at the time in America were largely utilitarian beasts of burden. The ordinance forbade parking in residential areas. In 1989 it was loosened to allow residents to garage passenger pickups. The vehicles are allowed in nonresidential areas such as in front of businesses or churches. The ordinance has been challenged but never overturned, even as the pickup evolved elsewhere into a higher-status vehicle. The ban is part of the town’s thicket of restrictions. Aboveground pools are prohibited. Dog leashes must not exceed 8 feet. Grass can be no more than 5 inches high. Garbage cans can’t be visible from the street 24 hours after pickup. Those barriers, say residents such as Mr. Tiernan, help maintain community standards. “If you don’t have rules someone is going to abuse things,” he says. 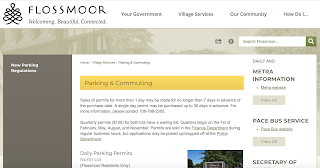 That worldview sets Flossmoor’s vehicular population apart. The Ford F-150 has been America’s best-selling vehicle for years. But among Flossmoor’s 8,983 vehicles there are more Mercedes (432) and Lincolns (132) than trucks (42) according to the Illinois secretary of state. The city issued 127 truck tickets last year at $50 a pop. Chief Pulec says most are written during the midnight shift when scofflaw parking is easily spotted. The backlash goes way back. Jim Minx, a retired Illinois state trooper, says he got 53 tickets for his Mazda B2000 pickup after moving to Flossmoor in 1986. Instead of paying, he took the village to court and fought the case for 13 years to the state supreme court, which refused to hear it. Comment: A little too much government! You can actually get tickets all around Chicagoland if you drive a pickup with truck plates on a boulevard. Other roads are generally OK, but more or less the white collar class wanted to keep blue collar vehicles away from the marble buildings. 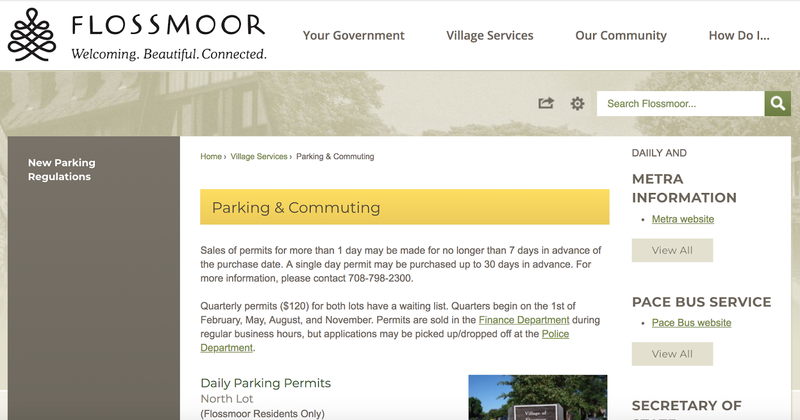 Looks like Flossmoor (half an hour from where I grew up) takes it another step.